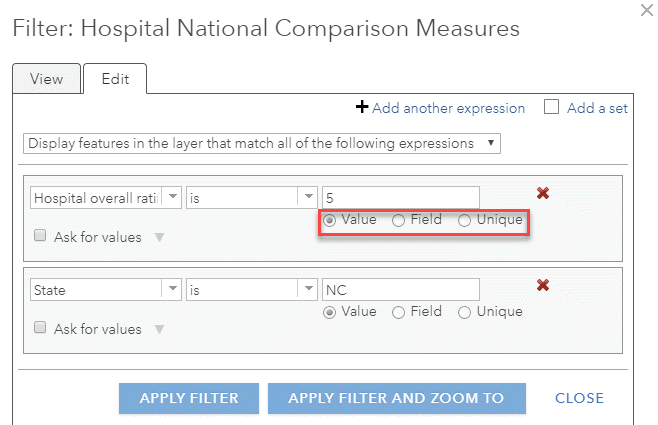 For example, this feature layer of all 4,798 Medicare-certified hospitals covers the entire United States. 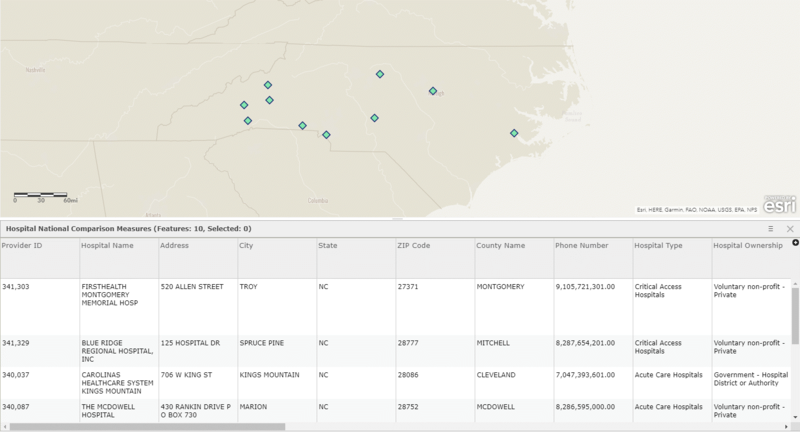 A typical GIS analyst examining healthcare access for Medicare beneficiaries in their own state, say North Carolina, will only be interested in the hospitals in one state. 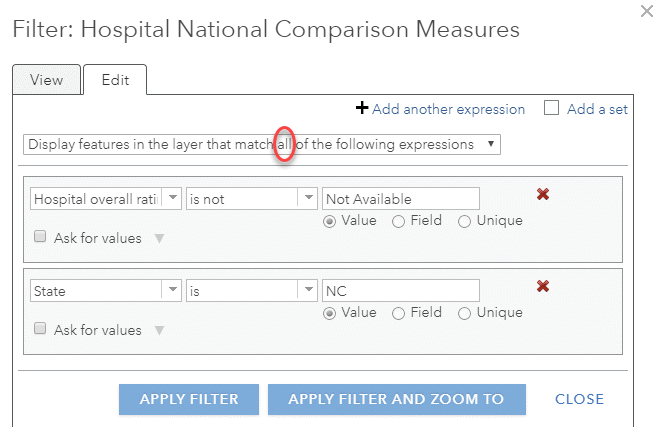 Apply the filter, and you will see that only the hospitals within North Carolina with a valid quality ranking are the ones that appear on the map and in the attribute table. Because I selected “…all of the following expressions” I see features that satisfy both criteria. Now, we are first interested in who is near a 5-star hospital. 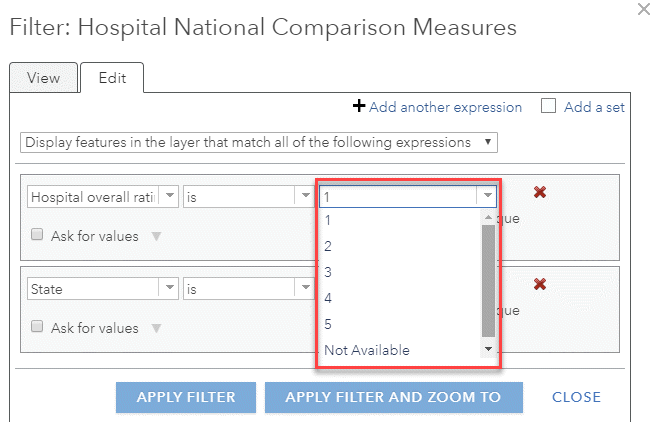 Let’s adjust the filter so that the first expression is no longer Hospital overall rating is not ‘Not Available’ but Hospital overall rating is 5. Because our overall quality rating is a string field (due to the fact that it contains “Not Available” values), I see string expressions in the dropdown: is, is not, starts with, ends with, contains, does not contain, is blank, is not blank. If this were a numeric field, I would see options applicable to numeric fields: is less than, is greater than, is at least, is at most, is between, is not between. Date fields give you different expressions yet: before, after, in the last…day, week, month, 5 days, etc. There are radio buttons underneath the third dropdown menu that say Value, Field, or Unique. If you have a specific value you’d like to filter on, choose Value. If you’d like to compare the value in one field to the value in another field for each record, choose the Field option. Finally, if you’d like to see all the unique values in the field that you’re filtering on, choose the Unique option. I’m going to make a copy of this layer with my new filter applied, rename it “North Carolina 5-Star Hospitals” and save the layer in My Content. I can then use this new layer to Create Drive-Time Areas or Buffers to use for Geoenrichment, or to start other types of analysis workflows. 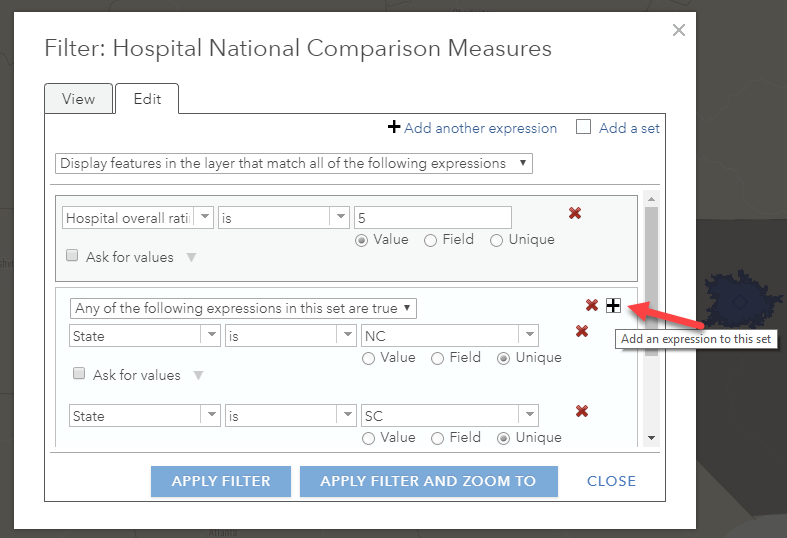 I can even repeat this process to create layers for North Carolina 4-star hospitals, 3-star hospitals, etc. The filter allows me to work with only the features that I need. Grouping multiple filter expressions into sets allows for a bit more complexity in defining your subset. Say instead of showing the 5-star hospitals in the state of North Carolina only, I want to show the 5-star hospitals in neighboring states as well. It’s possible that these out-of-state hospitals are serving people in North Carolina how live close to the state lines. 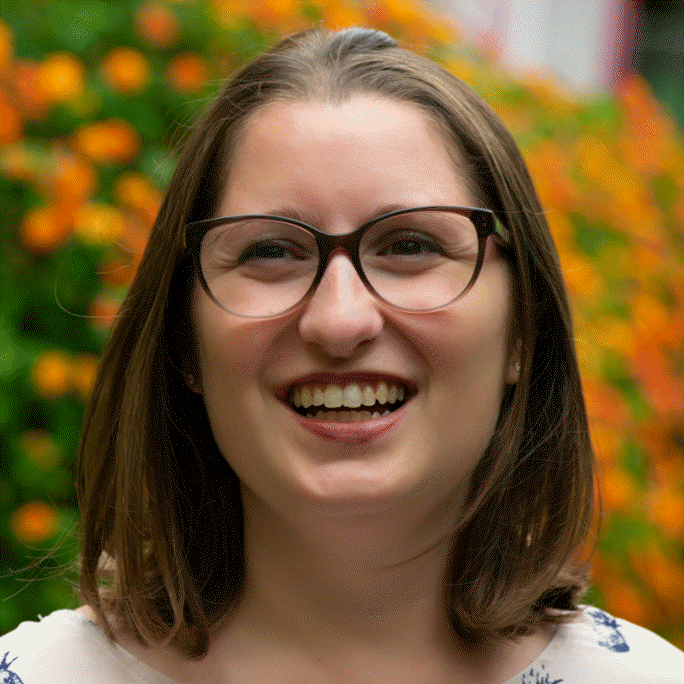 Filtering is often a great first step in making maps more focused, and defining inputs to geoprocessing and spatial analysis. I think of using filters in ArcGIS Online as a simple way to create a new layer that is a selection based on attributes. 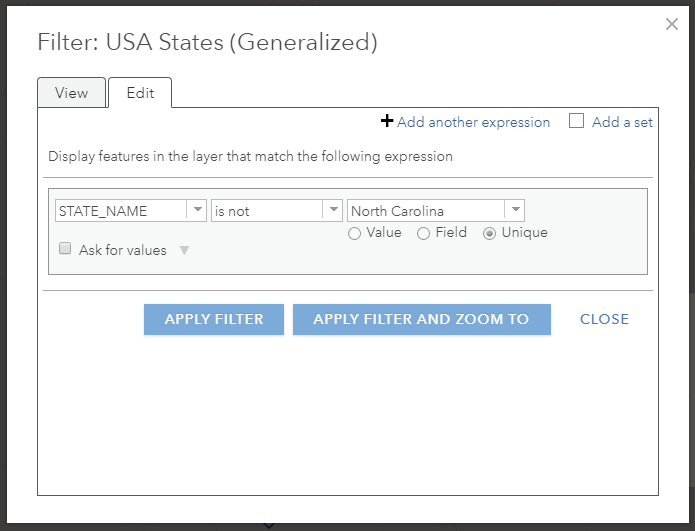 By applying filters, you can subset a national dataset in a Living Atlas layer to just the state, city, county, or school district that you need. 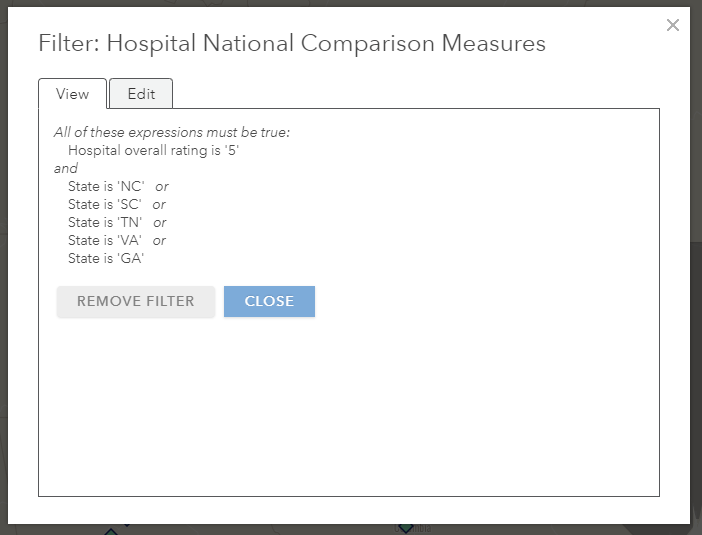 You can also filter by attribute fields that are not geography-based (in this example, hospital rating) to map only the types of features you need.